I’m very happy that, after some delay, version 2.4 of SonicWeb for Mac is finally available. As always, there are new features and bugfixes, but this time unfortunately also bad news: the track export function and the possibility to move the media folder had to be removed on Apple’s request for the version of SonicWeb distributed in the Mac App Store. According to Apple, it violates the App Store policies to make recordings made by SonicWeb available to users as files. Unfortunately, my objection which was based on the right for a private copy could not convince Apple and I had to remove both functions. However, SonicWeb can also be installed directly from the SonicWeb homepage, without the Mac App Store. In the course of this update I created the possibility to switch from the Mac App Store version to the Homepage version. Since the homepage version still contains the track export and the possibility to move the media folder, existing and future Mac App Store users have an easy way to continue using all features of SonicWeb. Detailed information on how to switch from the Mac App Store version to the Homepage version can be found here. The most important extension of SonicWeb for Mac 2.4 is the tracks section, which centrally displays all recordings. You can search the tracks and adjust the sorting of the track list. This helps to quickly find a recording again, no matter which station the recording was made with. You can also quickly listen to different recordings of a song and choose the best one to keep. You can now directly select in the miniplayer what you want to hear when playback is stopped. 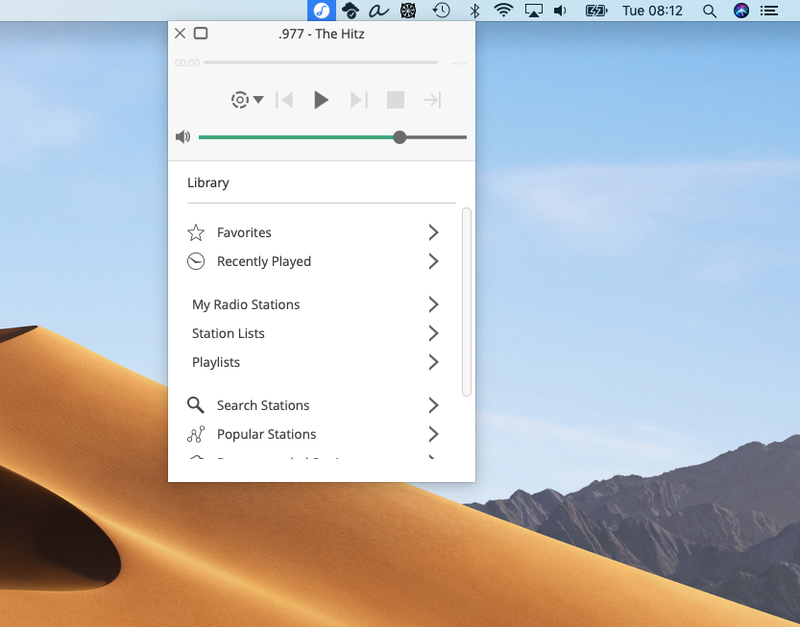 The miniplayer gives you access to everything that is available in the main window, such as favorites, recently played radio stations, the complete radio station database, station lists and playlists. As a miniplayer user you will need the main window very rarely going forward. For some time now, the display of album covers has no longer worked. 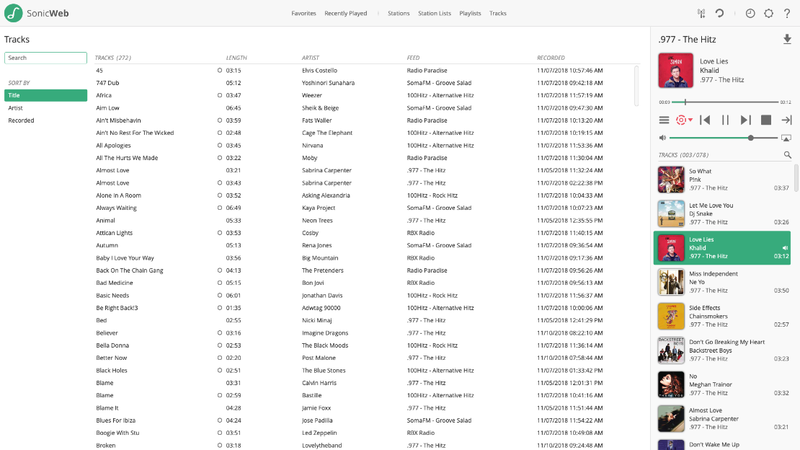 A service that SonicWeb uses to find out which album a track belongs to had made a major update and was therefore no longer compatible with SonicWeb. I’ve corrected that now and album covers are displayed again. Also for existing recordings SonicWeb will automatically try again to find out to which album they belong and get album covers if it works. The sleep timer can now be set up to 6 hours. This way the sleep timer can be used to automatically stop very long recordings. In Mac OS Dark Mode the Miniplayer icon is now displayed in white, so that it can be actually recognized. Stations played live no longer start recording when paused, but are stopped instead. Starting recording automatically when pause was clicked confused many users. The volume setting is now retained again after a restart.